If you’re from the Caucasus or the Middle East, dolma is a staple in your diet. It’s not just something you eat, it’s something that has its own category on the Food Pyramid. And it’s not just food. It’s family and love, and because it’s a social activity and takes so long to prepare, it’s probably got some gossip baked into it too. 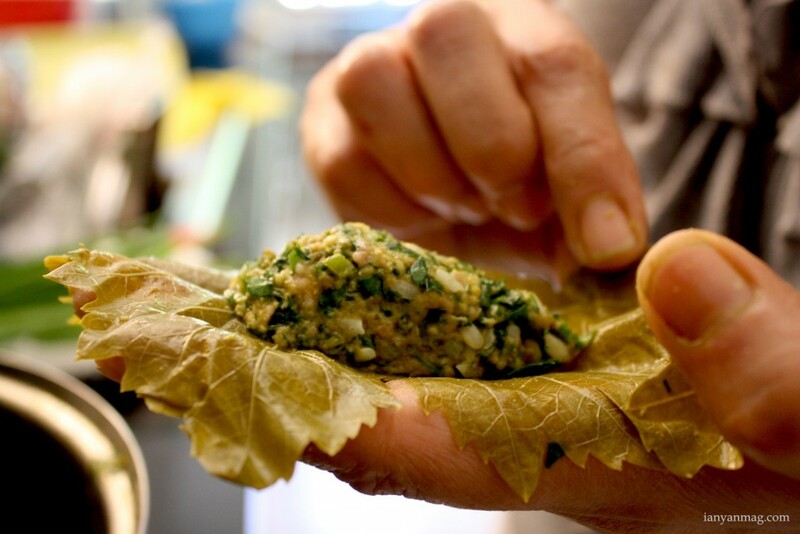 Whether you call it dolma, or sarma or “stuffed grape leaves,” in which case you’re probably eating them out of a can, it’s a little bundle of joy that resonates with more than just your taste buds. There will come a day, if you want it to anyway, when you might be making some of this decadent dolma yourself. If you’re completely baffled as to how dolma goes from droopy grape leaves to a burst of heavenly flavor in your mouth, read on. Here are a few tips from the one person I know that makes the best dolma I’ve had (with exception to yours of course): my mother. 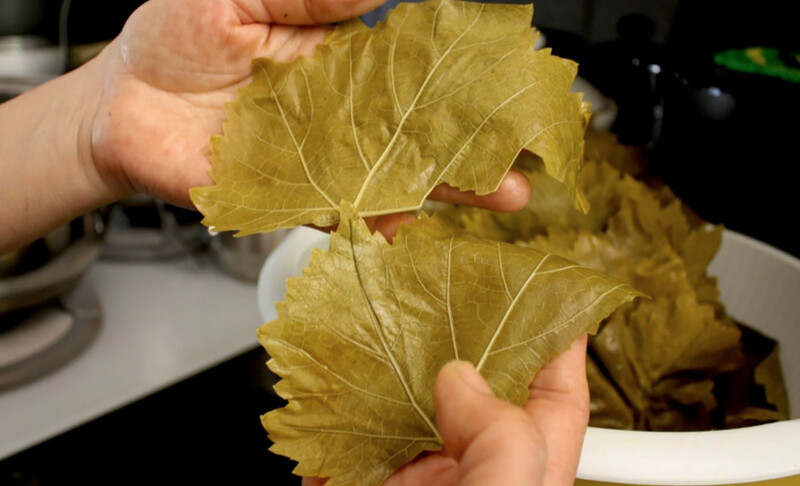 Grape leaves matter. The fresher they are, the better they taste, which is why you’ll find grapes in every Middle Eastern person’s backyard. But if you have to get them in a jar, make sure you’re choosing them based on color. In this case, the lighter the better. Garlic is a must. Make sure you’re including garlic to liven the taste. Depending on how much you’re making (and let’s be honest, it’s probably enough to feed a small village), two cloves should work well. Vegetarians eat dolma, too. 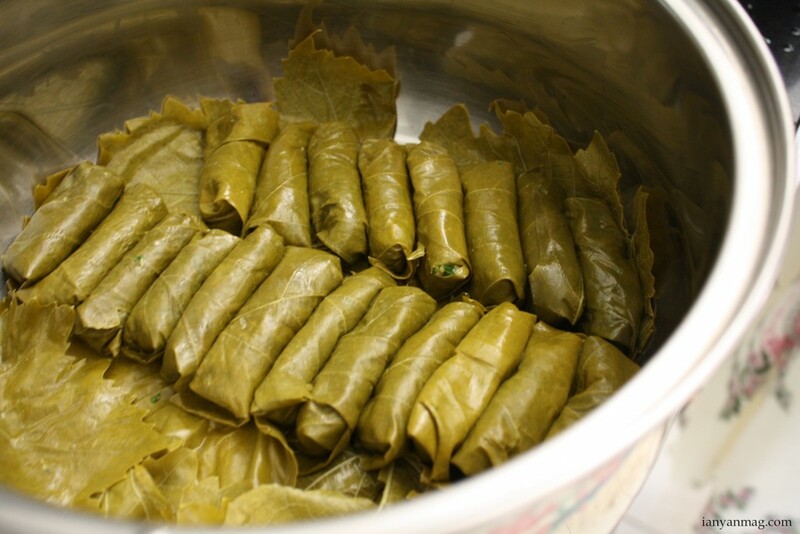 Though Western Armenian households traditionally eat the meatless version in grape leaves (which is called sarma, not necessarily dolma), Eastern Armenians tend to eat it with meat. But if you’re vegetarian, don’t fret. Substituting meat with pine nuts, lentils and even mushrooms works well in addition to “meatless” meat substitutes. There’s technique involved, lot’s of it. Cooking your dolma doesn’t just mean dropping them in a pot. 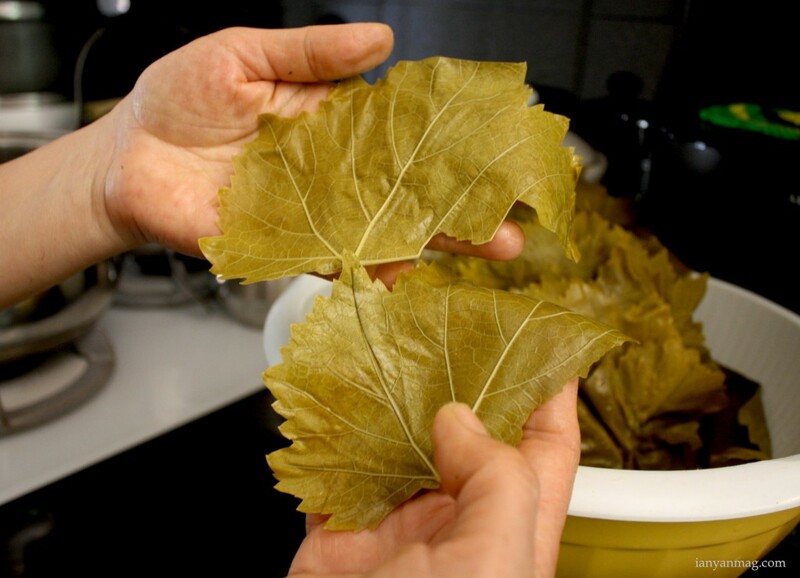 First, the pot must be lined with reject grape leaves, so the dolmas near the bottom don’t burn. Actually making them look nice to begin with is another matter. 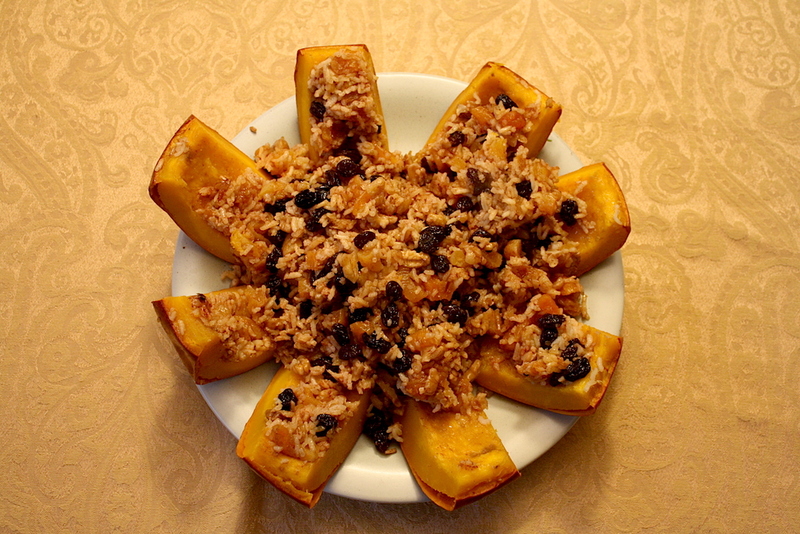 After you prepare your filling, open the grape leaf in the palm of your hand and add a tablespoon of your filling in the center. Then begin folding as if you would be folding a box, first the left and right edges and then the top and bottom. They must also be packed tightly in the pot to support each other’s weight. Spices are important. 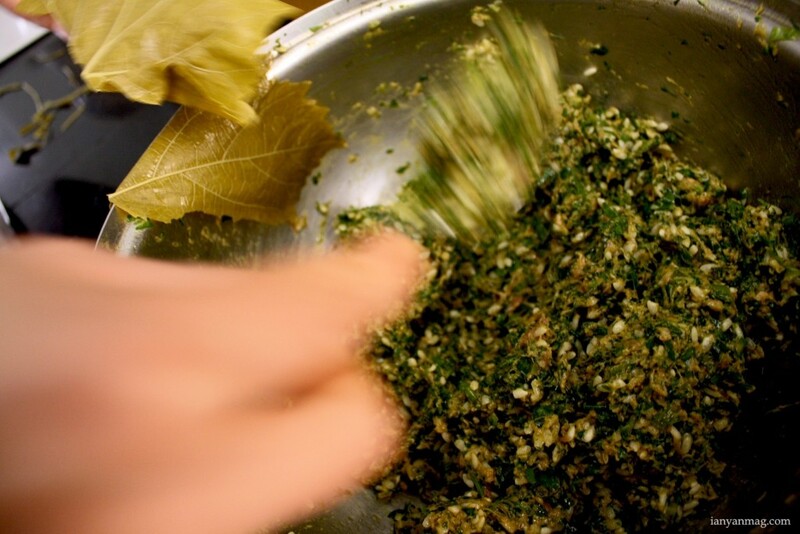 Depending on where you’re from, you’ll want to use a variety of herbs and spices when making your dolma. Turmeric, curry and sage are just a few suggestions. More goes in to the pot than you thought. In addition to adding water and oil to the pot, take a plate and put it upside down on top of the dolma, so it keeps its shape throughout cooking for 5 days, I mean 2 hours. 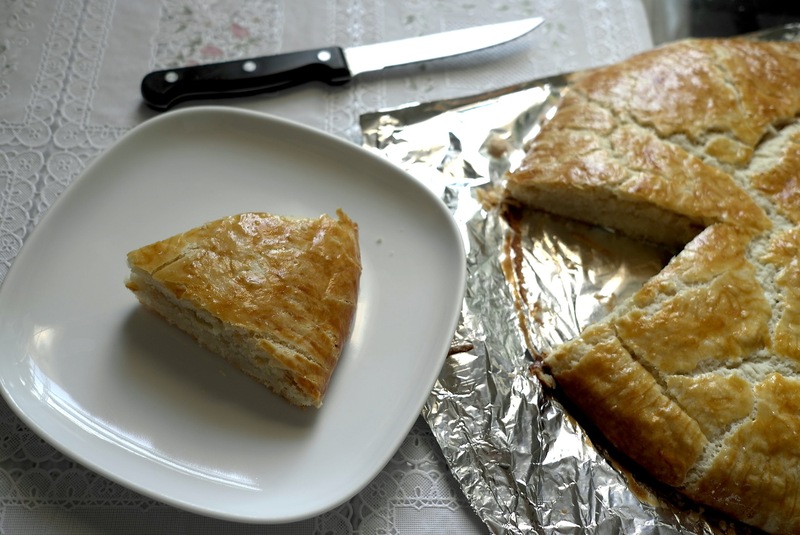 To make the filling extra juicy, you can also add one or two tablespoons of regular, plain yogurt. Pre-prep is a life saver. Our lives aren’t as mellow as they used to be, which means you probably don’t have 12 hours to devote to talking about your neighbors and rolling grape leaves. So buying your ingredients and chopping up your herbs and greens and refrigerating them can be done a day before. It gets easier, I swear. Or at least that’s what my mom says. “It takes a lot of time and it’s a lot of hard work, but when you keep doing it and keep practicing, it gets easier,” she tells me. As always, indulge in your dolma with a bit of yogurt or sour cream ( or a lot). Sometimes you’ll find that dolma, much like pizza, tastes even better on the second day. 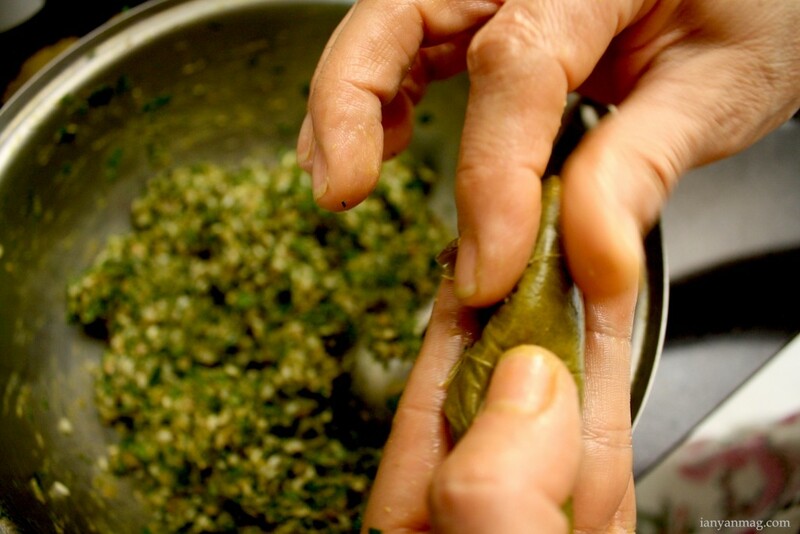 Got any tips on how to make dolma preparation easier? 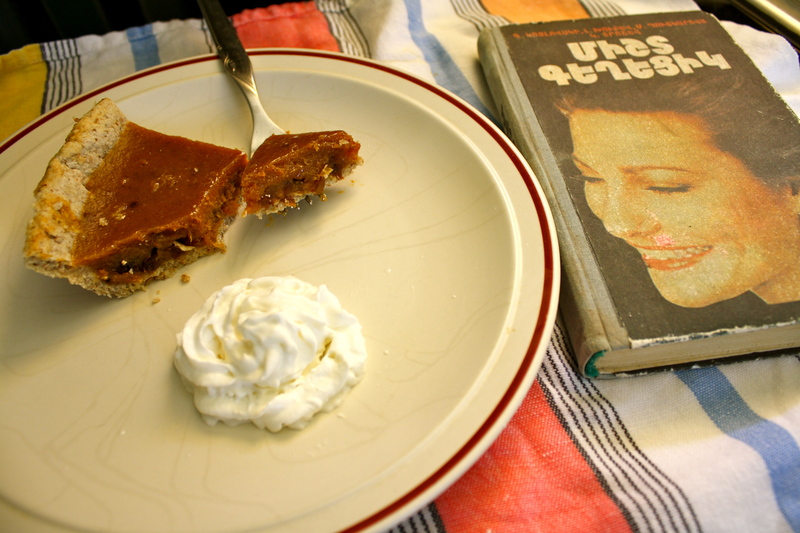 We’d love to hear your stories, recipes and memories. Leave us a comment below.